This collection helps you uncover the details of British domestic politics and society in the Age of Enlightenment. You will find a wealth of once classified detail about the reigns of the three Georges, including behind-the-scenes accounts of the turbulent events of George I’s reign (the Jacobite uprisings); the development of cabinet government; the ascension of George II and the consolidation of Whig supremacy; the riots surrounding libertarian politician John Wilkes; and the inept handling of the colonies that marred the early years of George III’s reign. 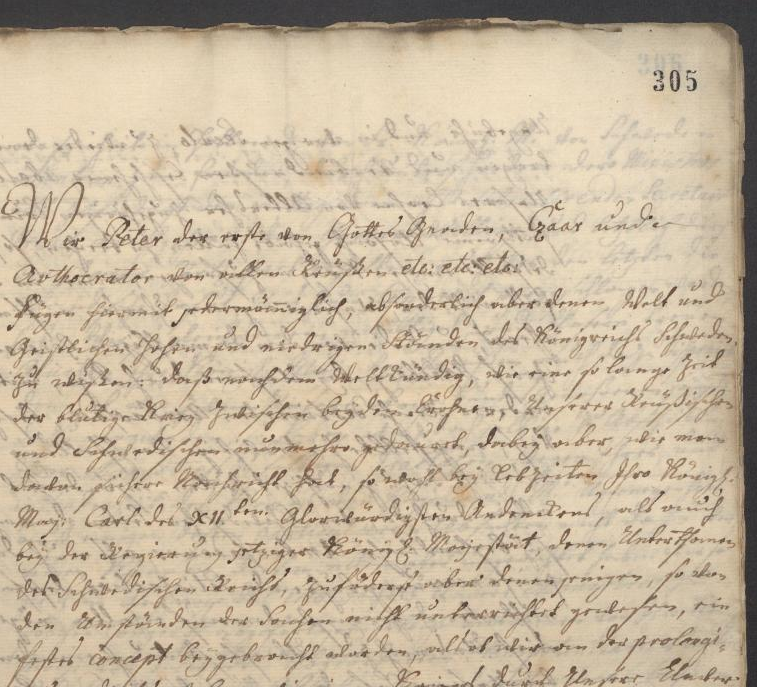 Screenshot of SP 91/9 f.305-308: The Czar’s manifest on the reasons for his attack on Sweden, 1719. This collection allows you to explore the political and personal narratives of the territorial wars and dynastic rivalries of eighteenth century Europe and its borderlands. It includes the letters, memorials and treaties pertaining to Denmark, Sweden, Poland and Saxony, Prussia, Russia, Turkey and the Barbary States, which have been digitised for the first time. It also includes papers sent to the British Secretaries of State from foreign ministers in England, as well as ‘confidential’ and intercepted letters between key figures in international politics. The collection will allow you to find new insights into international attitudes to Britain and the condition of Europe, as colonial ambitions, dynastic alliances and emerging trade networks were all widely discussed. You can access State Papers: Eighteenth Century, Part 1 and Part IV here. Or via the E-resources trials page. 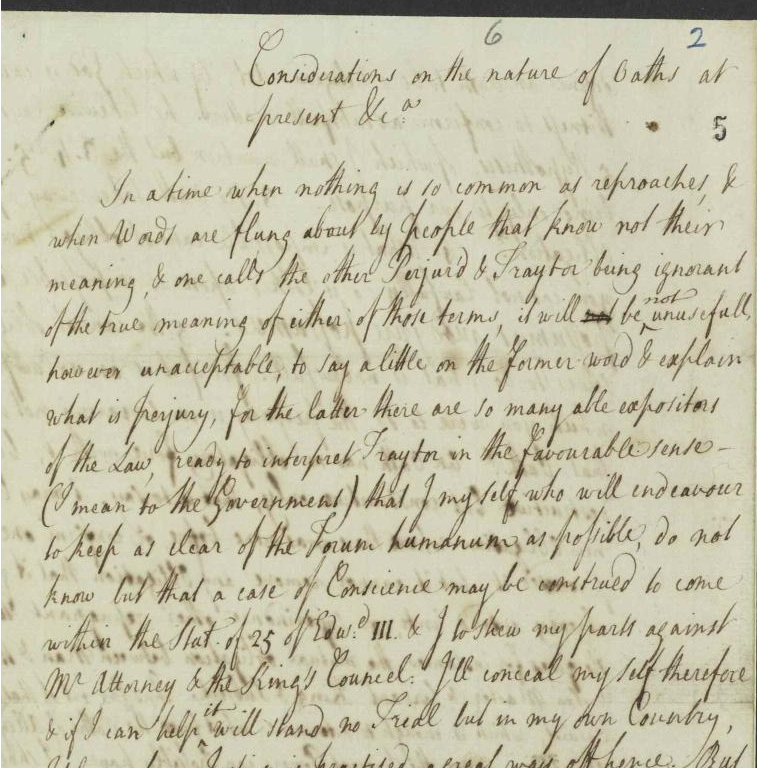 This entry was posted in Library, Online resource, Primary sources, Trial and tagged 1700s, 18th century, archives, Britain, correspondence, Databases, Europe, History, International Relations, Letters, Manuscripts, official documents, Politics, primary source by cstirling. Bookmark the permalink.